Don't miss this huge learning opportunity with this home where many important category learning details will be shared!! This real Onsite case study is 80% complete and features a 4 bedroom, 2 bath, 1 car garage with 1676 square feet of living space. Don't miss this unique real time Onsite learning case study at March 19th at 1PM. RSVP Now and we will see you there! 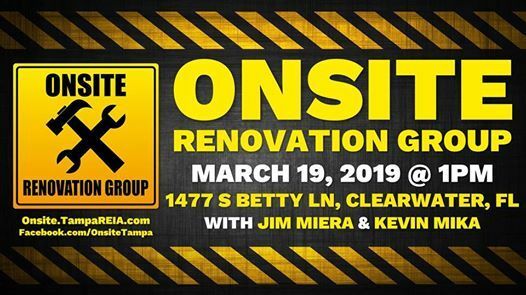 The Tampa REIA Onsite Renovation Group (ORG) is an exciting educational and networking group for both new and seasoned investors that focuses on the acquisition, renovation and retail resale (fix & flip) or rental (buy & hold) of single or multi family residential homes. 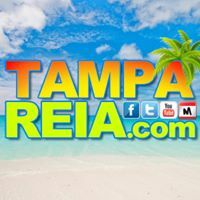 The Onsite Renovation Group meets on the 3rd Tuesday of each month at 1:00PM at an active renovation site, build site or rental property which will vary from month to month and be announced prior to the meeting on the Tampa REIA Calendar ( http://tampareia.com/calendar/). Be sure to check the calendar before attending since the renovation site can change at the last minute. The Onsite Renovation Group will focus on properties in the Tampa Bay Area (Tampa, St Pete, Clearwater, etc). The purpose of this group is to allow both new and experienced rehabbers and investors to meet, network and share knowledge and experience with “hands on” access to real property. Come join us to learn how to rehab houses for big profits and learn from other rehab investors success and mistakes… you will be glad you did! The Onsite Renovation Group is currently FREE for Members and Not-Yet Members of Tampa REIA.